STEM Club has it all! STEM Club will cover various topics associated with science, technology, engineering, and math. 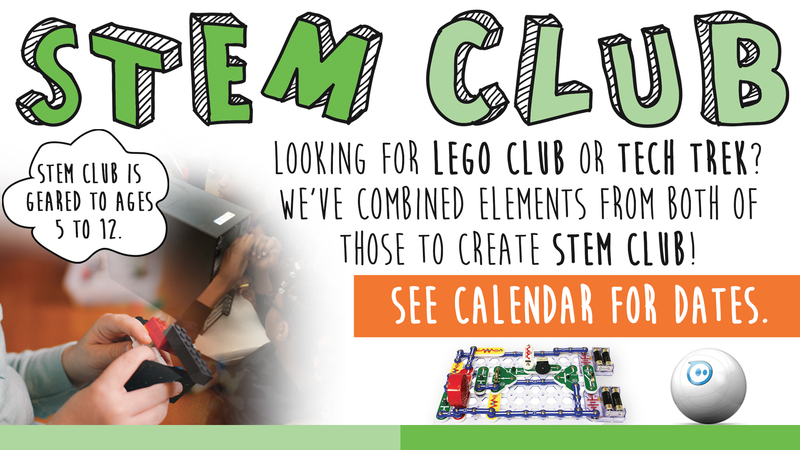 Looking for LEGO Club or Tech Trek? Elements from those programs will be wrapped in STEM Club. A hands-on in-depth learning experience will be held once a month, while LEGOs and other building challenges will be held during the other program at each branch. Building Free Play programs: Registration is NOT required for the building free play. Geared for ages 5-12. Children 4 and under may participate with adult supervision. Instructed programs (Spheros, Snap Circuits, and Science!) – Registration is required. Ages 5-12.